At the University of Brighton, Mithras House on Moulsecomb Campus, Lewes Road, Brighton BN2 4AT, School of Architecture and Design, 3rd Floor, South Downs Room. 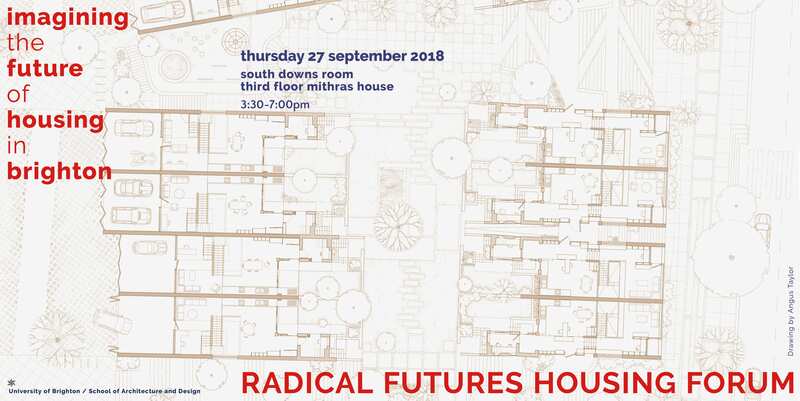 Hosted by staff and students of the School of Architecture and Design, attendees are invited to explore creative ways of imagining the future of housing; either through drawing, modelling, or writing. 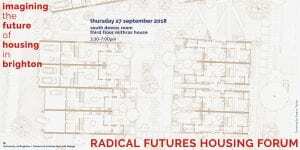 This Housing Forum is accompanied by an exhibition of innovative housing projects developed by architecture students within the context of Studio 12, run by University of Brighton senior lecturers Luis Diaz and Sean Albuquerque. Join us for the chance for a private view and discussion with the curator.